Galerie Gmurzynska is pleased to return to Art Basel in Hong Kong (BOOTH 3E11) for the sixth consecutive year with a selection of important works by Robert Indiana and Wifredo Lam, two of the most inventive artists of the 20th century, alongside a selection of masterworks by Yves Klein, Fernand Léger, Jeff Koons and Joan Miró. The focus on Robert Indiana coincides with “LOVE Long: Robert Indiana and Asia” the first serious retrospective of the artist’s work in Asia at the Asia Society Museum in Hong Kong. 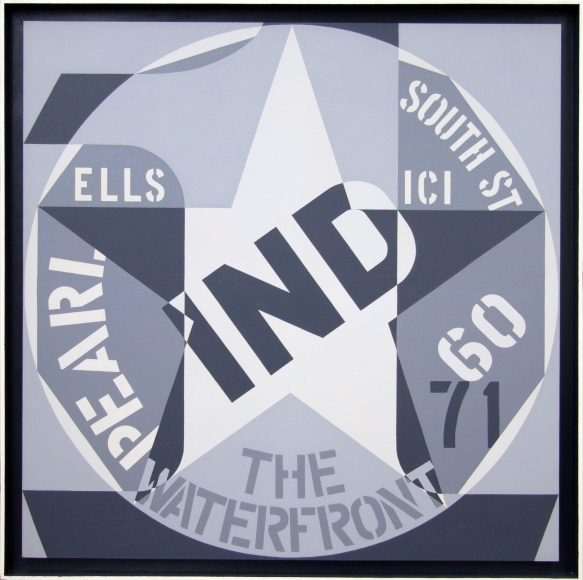 Galerie Gmurzynska has represented Robert Indiana for over a decade and to compliment the Asia Society show has assembled 11 important works from the 1960s to the present to illustrate how numbers and words have been central to his artistic practice for more than 50 years. The selection includes one of his rare and iconic LOVE paintings, this one displaying the Chinese character or graphic symbol for love. Alongside the works of Robert Indiana, Galerie Gmurzynska will preview for the Kabinett section several masterworks by Wifredo Lam, the celebrated Chinese-Cuban Surrealist-Cubist painter as a preview to a comprehensive retrospective of his work under preparation for the gallery’s Zurich premises this summer. 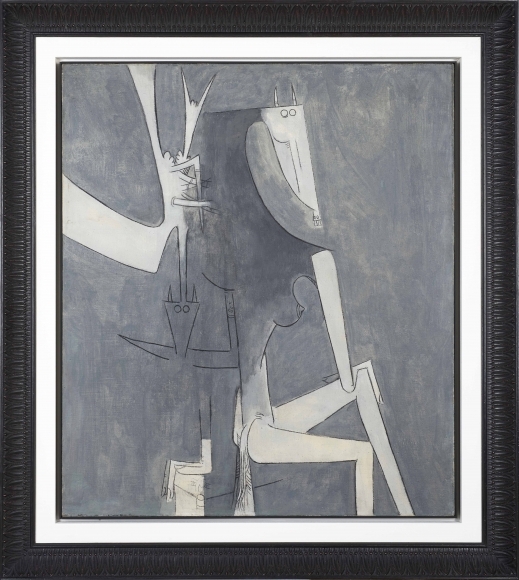 Lam, born in Cuba to a Chinese father and a Cuban mother in 1902, developed a unique hybrid style for painting mythical, totemic figures that were widely admired and collected by fellow artists and writers Pablo Picasso and Andre Breton among others. Lam was a global citizen before globalization and his body of work connects different cultures, languages and visual traditions. Over a dozen major paintings ranging from rarely seen masterpieces from the 1940s to signature works from the 1960s will make up the presentation. To celebrate the Chinese year of the Dog in 2018, Galerie Gmurzynska will present a special selection of celebrated fashion and celebrity photographer Jean Pigozzi’s latest series of dog photographs titled “Charles and Saatchi”. Vanity Fair has described Pigozzi as “the Picasso of the celebrity selfie” and accompanying the show is a book with a text by Charles Saatchi. and is in the catalog raisonne, no 62.26.